Quick overview This book is a pragmatic guide to both gathering and analysing media data and helps readers make sense of how media are involved in politics, by bringing media research to life with vivid case studies. From Donald Trump's use of Twitter, to social media mourning, to cyber-bullying: the evidence of media influence today is all around us. 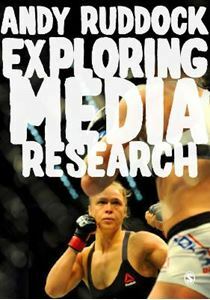 As such, good media research is more important than ever, and crucially, is something all students can and should do. Introduces students to the scope and seriousness of media influenceShows them how to tie their own interests to academic concepts and research issuesExplains how to use this understanding to develop proper research questionsTranslates key theoretical concepts into actual research methods students can use to explore the media texts, events, markets and professionals that interest them.